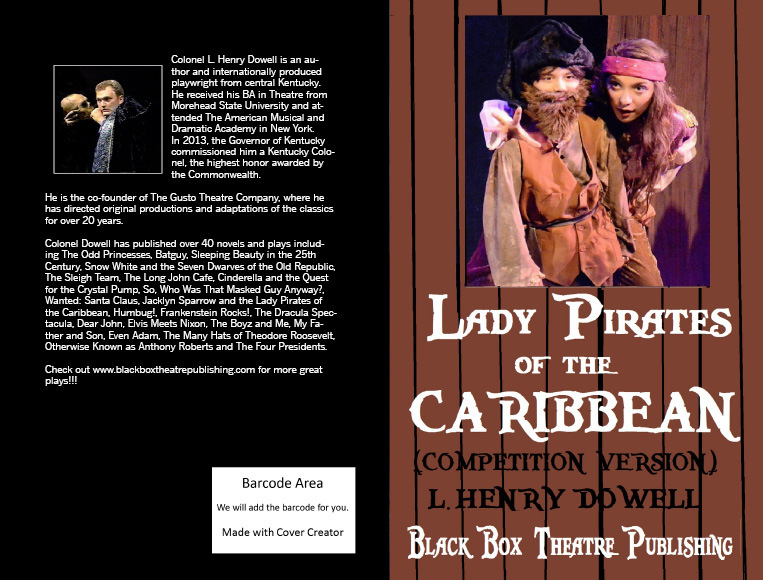 Black Box Theatre Publishing Company - Lady Pirates of the Caribbean (Competition Version) Is your school looking for an exciting new play for competition? Black Box Theatre Publishing presents a competition version of one of our most beloved plays! Lady Pirates of the Caribbean (Competition Version) is a swashbuckling pirate parody with bloodthirsty buckaneers in massive sword clanking battle scenes!! 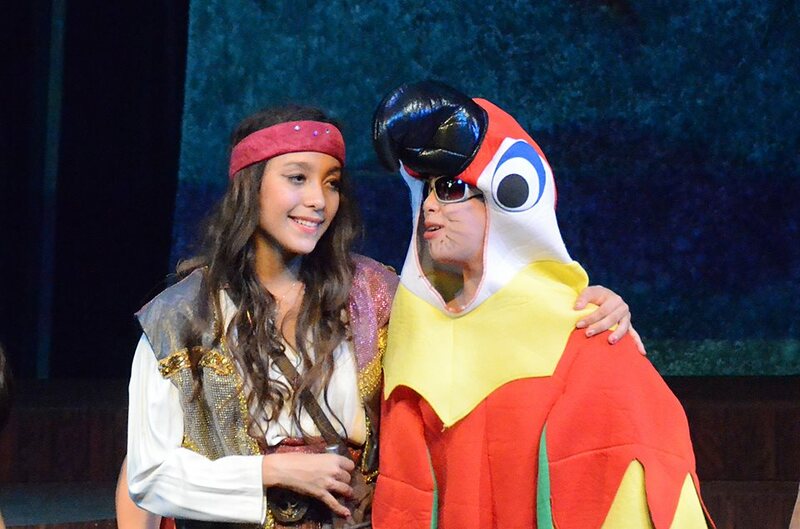 A giant wise cracking parrot named Polly!! Crazy obsessions with eye liner!! And who is Robert, the Dreaded Phylum Porifera?? 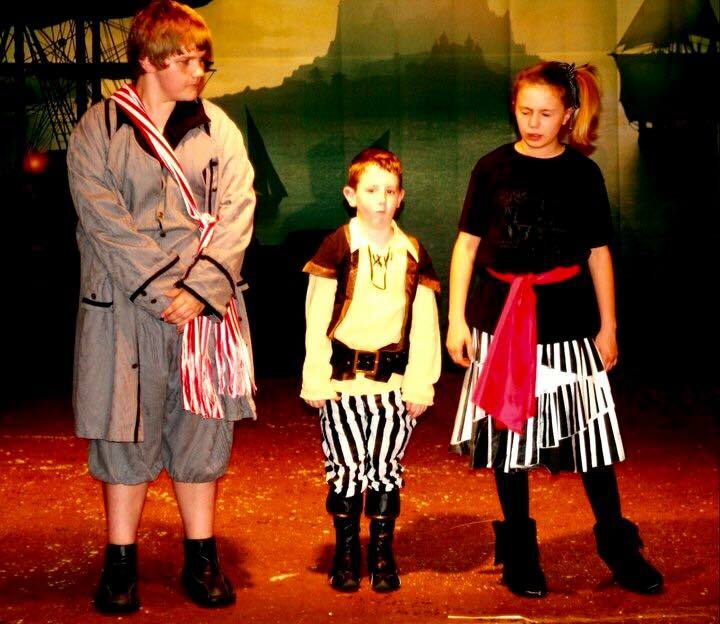 It's fun for the whole family in this lampoon of everything you love about pirates!! AAAARRRRRG!! 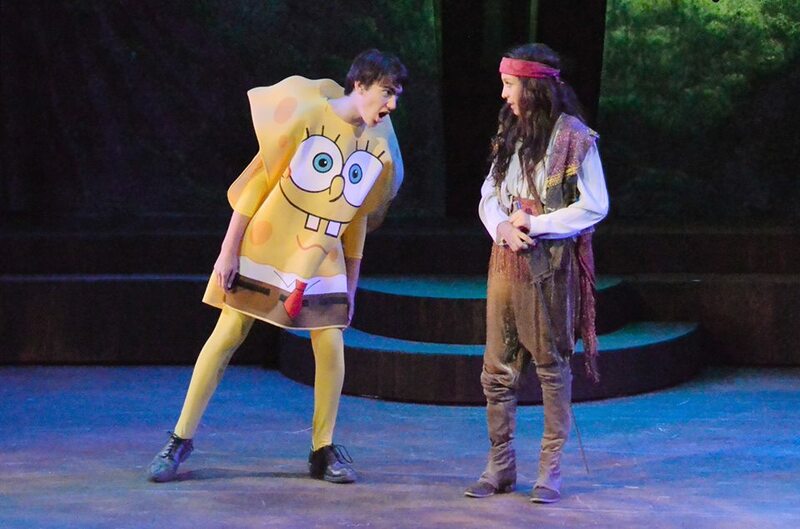 !Cast Size:: 26+ flexible roles with doubling possible.Running Time: 30 minutes.Royalty: $50.00 per performance. Apply here.Click here to order scripts directly from us. ﻿﻿Click here to order through Amazon.Appropriate for all audiences.